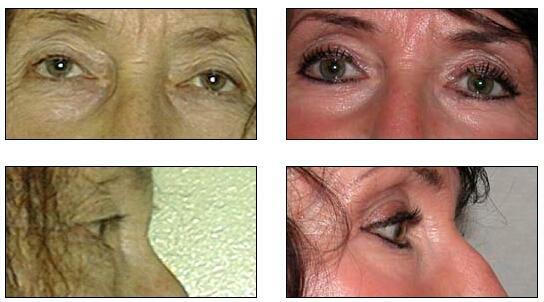 Upper eyelid surgery surgery involves removing excessive skin from the lid and, optionally, the excess fat from the upper eyelid fat pocket (fat hernia). 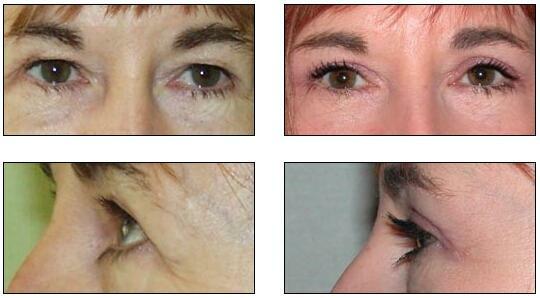 It can be performed as a separate surgery or in conjunction with face-lifting. 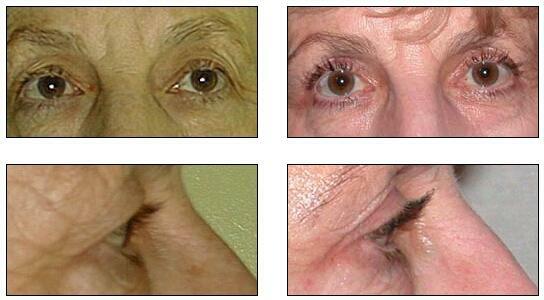 Temporary discomfort, swelling, eyelid discoloration. Temporary feeling of dryness in eyes. Sensation of a foreign body in the eye. Over sensitiveness to light and wind. Reading: 2 - 3 days. The stitches are taken out on the fifth day after the surgery. Return to work: 7 - 10 days. Total recovery of the swelling: up to several weeks.